You are here: Home / Ethnic Groups / The People of Sulawesi / Who are the Makassar? The Makassar (also known as the Tena, or Goa) inhabit the southern part of the southwestern peninsula of Sulawesi. The heart of their area is Makassar, the capital city of the province of South Sulawesi. The Makassar also live in the highlands, the coastal areas and the Selayar and Spermo islands. They speak the language of Makassar which has three dialects Gowa, Turatea, and Maros-Pangkep. The most prestigious dialect is Gowa. The Makassar language is part of a larger linguistic grouping called the Makassar. It includes the Konjo highland, Bentong, and Selayar languages. The main source of income for the Makassar is rice farming. However, they are also well known throughout Indonesia for their skill in trading and as fishermen. Their houses are often built on stilts, two meters above the ground. Makassar houses in the plains and beach areas are close to each other and those in the mountains are spread out. The fishermen living on the beaches build their houses in rows facing the sea or the main road. Villages like these are known kampong pajjaku (fishermen villages). Farmers build their houses around the fields and are known as kampung pamarri (farmer villages). Each village usually has a center was once considered a sacred place, marked by a sacred tree. The division of labor among the Makassar is strict because of rigid separation of the sexes. Men are responsible for matters outside the house such as farming, working the plows and carrying rice bundles after the harvest. The household duties are assigned to women. The family structure is headed by the man. The wife and children must show respect for the head of the household while they are in public. Final decisions concerning the family are always the husband’s responsibility. In rural locations, marriages are still arranged by the parents and/or close relatives. Communication between the prospective bride and groom is strictly prohibited. Polygamy is accepted. However, it is only practiced among the wealthy since a separate house must be provided for each wife. Siri (respect and honor) is the social code by which the Makassar live. Anyone seriously offending another person’s siri runs the risk of being killed and the authorities will often refuse to become involved. 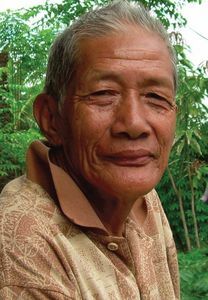 The Makassar often work beside their neighbors in matters of mutual concern, such as building houses and working in the rice fields. They also gather for times of celebrations, such as birthdays and weddings. The Makassar are almost all Muslim. Nevertheless traditional beliefs are still influential, especially in the remote areas. They maintain beliefs in gods and ancestral spirits. They believe the ancestral spirits have a direct influence on their daily lives. Special ceremonies are held at the beginning of the planting and harvest seasons. Currently, the Makassar need training to increase their agricultural production. Medical personnel and nutritional information are also needed because nutrition is a common problem for those living in rural areas.